It was a two-hour flight from Delhi to Mumbai and from there again a two-hour flight to Madurai and still our destination ~ Kodaikanal, the popular hill station in South India, was 125 km away. Throughout the journey to Kodaikanal, the only question bothering us was: Is this place worth taking all this trouble? Of course, not until the road trip began and one of us even wished to have been directly airdropped on to the hill station. It was late afternoon when our flight landed in Madurai. Even before, the four-hour road journey began, most of us, due to exhaustion, planned to sleep in the bus. However, it never happened. As the bus manoeuvred the roads, the breathtaking surroundings kept us awake throughout the journey. The view of green mountains, countryside villages and fields were a sight to behold, and every new turn was unfolding a new vista. This led the long journey to turn out to be very interesting and doubled our expectation from the destination. 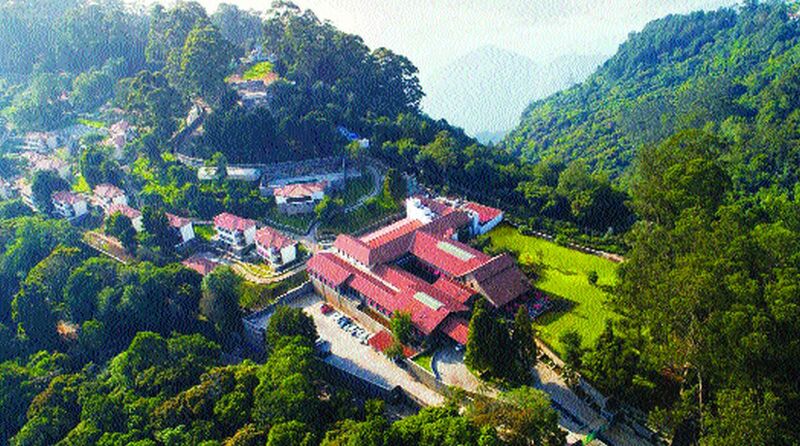 Located amid Palani hills in the Western Ghats, Kodaikanal is known for its cool climate and natural landscape. It has everything to attract tourists and nature lovers ~ from large forests to a lovely lake, from big farms to huge grasslands. The place has everything that can engage anyone for days. And what is unique about Kodaikanal is that, unlike any other station of India, it was developed by the Americans, not British. They say, in 1845 the first two bungalows were built by six families of American missionaries from Madurai. Since then and even today, its tranquil shoal forests, eucalyptus trees, meadows and grasslands have been inviting lots of tourists from around the world. Not to forget, the place also houses the famous Kurinji flower, which can be seen once in 12 years. However, by the time we reached Kodaikanal, it was already very late evening and the best thing was to check into the hotel and wait till morning to get a feel of the place. Our home in Kodaikanal was a luxury as well as heritage resort ~ The Tamara Kodai. As the staff served the refreshing welcome drink, my eyes already started appreciating the décor of the resort. Fireplace, surrounded by sofas, grey stone walls with lighting gave the resort a look of colonial era. In fact, the resort was once the home of a British judge called Baynes, who sold it to a priest. In 1861, the cleric converted it into a retreat for the priests and was renamed La Providence. Thankfully, the resort has retained many old parts like arches of doors and windows, the pillars, windows, grilles and frames. The resort has 44 rooms, offering full amenities like 24 hour Wi-Fi connectivity, a 49″ LED television, a mini-bar, wooden floor, colonial style wooden furniture and an in-room heater. It also has conference halls. For foodies, one could satiate their taste buds in its Bistro 1845, which is a French style à la carte bistro and bar or La Providence, an all-day dining restaurant, serving buffet and à la carte menu. The resort also boasts of the only swimming pool in Kodaikanal and it is temperature controlled. However, the best part of the resort was seen early morning, after pulling back the curtains of the window. The sight of verdant mountains and jungle was awe-inspiring, especially for city dwellers like us. Our first excursion in Kodaikanal was trekking. Of course, it is the best thing to do as it gives a chance to know nature closer. In our 2.5 km long trail through rainbow forests, near to our resort, we came across many herbs and medicinal plants like Eucalyptus, Wild Tobacco, which is said to cure lung ailments, orange creeper, the leaves and roots of which are used as anti-fungal and many others. Our trek took us to the breathtaking Rhino Nose Viewpoint, where the village of Vellagavi is located, and ended at Pambar Waterfalls. We also came across bunches of Neelakurinji flowers. The other half of the day was spent at Berijam Lake, which was a 20-km ride from the city. If have come to the hill station, you can’t wander all the time in a car and cycling can be the best option to get a feel of the place. Our last day was spent in a cycling expedition to Poombarai village. And the trip ended with a visit to Manavannoor, a stunning hamlet offering great meadows and lush rolling hills. And it also houses a sheep and rabbit farm. And at the end of the trip, the only feeling was: Wish we could spend more days here!